NO GOAL FRAME IS INCLUDED. 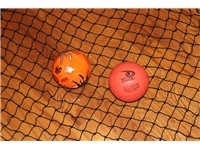 The white nets are made of a braided 3.5MM knotted nylon with a 4" square mesh. 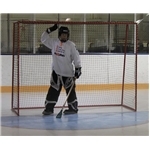 Option of buying just one net OR a set of nets with 220 feet of white lacing to fasten net to goal frame. 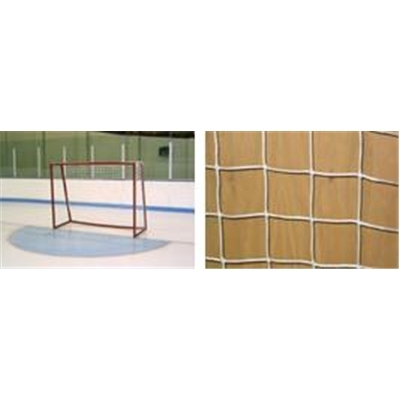 No goal frame is included (picture is meant to show netting installed on 6'x8' goal frame).